I admit it, I can be a bit of a tool snob. Or at least, I should say that once I have a bad experience with a brand, I tend to avoid it for a long time. 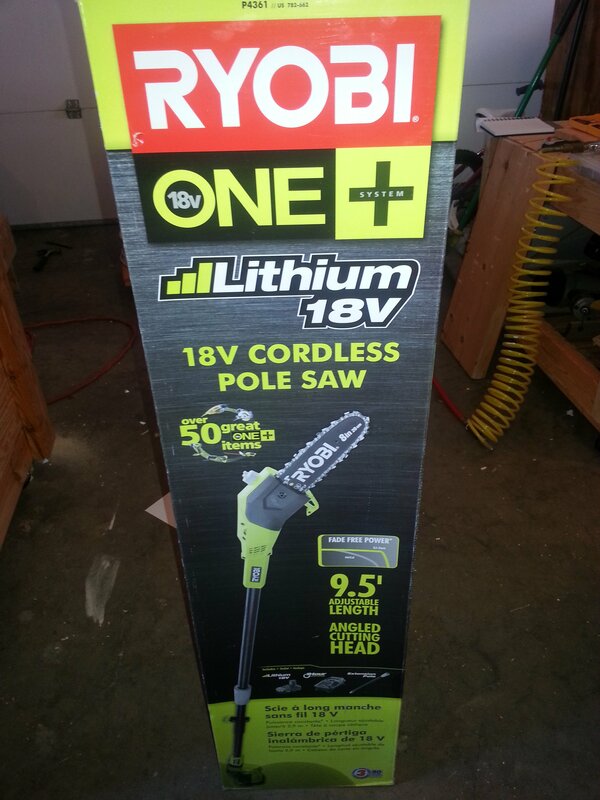 I haven’t had much experience with Ryobi in years since I helped a friend frame out his basement and we had to go get my Porter Cable recip saw when his cordless Ryobi wouldn’t cut through a 2×4. But that was a long time ago. My experience with Ryobi was extraordinary. A family member needed my help cutting back an overgrown tree that was causing trouble. 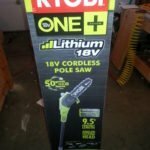 I am always on the lookout to “justify” a new toy tool purchase so I jumped at the opportunity to look at getting a pole saw. A trip to Home Depot left me with few choices, and only one if I wanted a cordless saw. Given my previous experience I was more than hesitant but I REALLY wanted the flexibility of a cordless saw and I couldn’t justify one with gas engine. At the end of the day, I couldn’t be happier. My gas powered chainsaw developed engine problems and we ended up having to make all the cuts with the Ryobi. Truth be told, we put this saw through more than it was probably designed for. I only had one battery but by the time it was ready for a re-charge, I needed one myself.